“We went as a trio so we split when we came out 8th in draw. Lake 1 was our first choice as it holds a good head of fish – 2 x 70’s, 20 x 60’s and Loads of 50’s & 40’s. A double swim, peg 10 was my choice and single peg 9 meant the three of us could have a good social too. As soon as I reached the peg I launched a single bait a 10mm Crave Pink Fluro Pop-Up to a showing fish. This was very successful last year as while everyone set up their houses I was landing a 37lber…..Not to be on this occasion so once all set up, rods were prepared again. 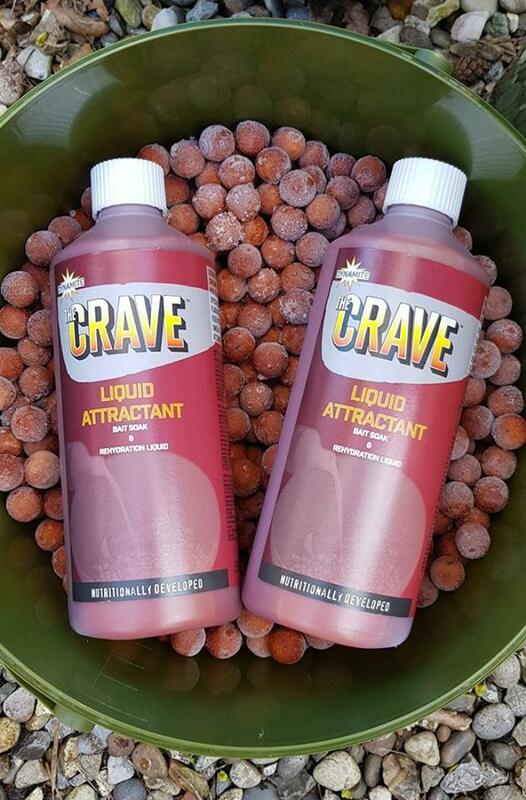 My choice of bait was freshly Frozen The Crave 15mm Boilies, chopped and glugged in Crave Re-hydration Liquid. 30kg to be exact. Plus I took some shelf life just in case. As the mix was quite moist as I had soaked them in lake water and delivery was by bait boat due to overhead restrictions from Power lines. I chose to coat the bait in Crushed Hempseed with a dusting of Marine Halibut Groundbait. This ensured the bait dropped smoothly from the hoppers, especially with healthy squirt of hemp or salmon oil on every trip. Fishing at 22 wraps on three specific spots I made sure I made plenty of Spicy Xtra Active Stick Mixes made up which aided the hook link presentation on the drop. I also heavily glugged these to create extra attraction. There were fish showing everywhere but the fishing was a bit slow. I reviewed the catch reports again and media contacts meant it was apparent quite a bit of bait had been used the previous week. One swim had 80kg used which resulted in several bigger fish. Not deterred I kept plugging away and then on Sunday afternoon a finicky take / indication made me strike the rod. I was in and successfully landed a lovely 41lb Mirror. 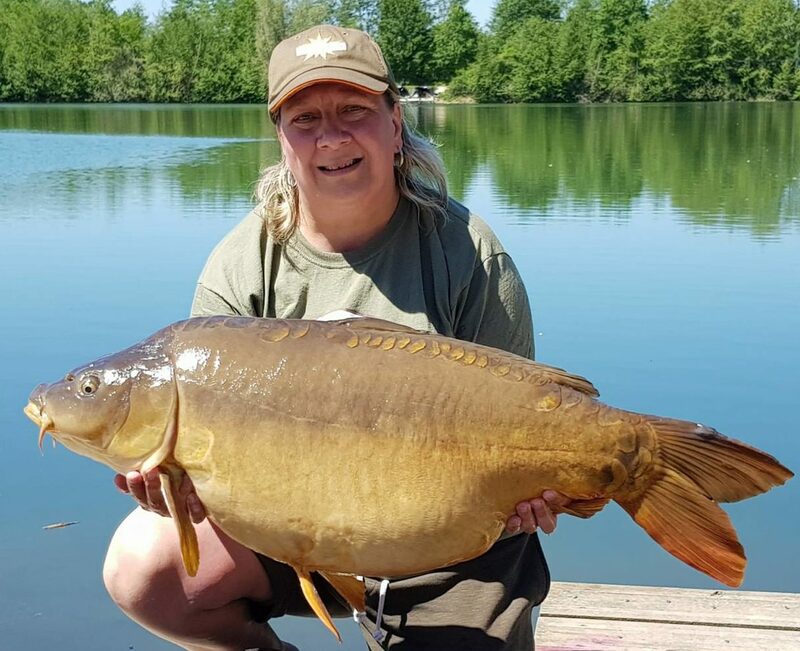 These huge carp plod away without a huge fight but that doesn’t stop your heart pounding and adrenaline kicking in… that’s what we do it for….